According to flight-tracking website FlightAware.com, approximately 50 percent of Friday's flights into and out of LaGuardia Airport were delayed as of 4:40 p.m. ET. Meanwhile, roughly 25 percent of flights into and out of nearby Newark Liberty International Airport were experiencing delays. Thank you for your patience and continue to follow our feed for updates. Continue to follow our feed for updates and determine the status of your flight with your airline. LaGuardia, Newark Liberty, Philadelphia and Reagan National are among the Northeast airports being impacted by an air traffic control staff shortage on Friday afternoon, with FlightAware.com reporting hundreds of flight delays at LaGuardia alone as of 1:45 p.m. ET. Please confirm flight status with your airline before going to #LaGuardia Airport. The FAA said roughly one-fifth of the country's airline passengers travel out of the Northeast and therefore, the delays are expected to impact other airports across the country. "As of Friday morning, Delta is experiencing about 200 flight delays at New York LaGuardia Airport as well as other airports in the Northeast region due to the FAA’s Ground Delay Program," Delta Air Lines said in a statement. "Delta is working to re-accommodate customers to their destinations and encourages customers traveling on Friday to check delta.com or the Fly Delta App for their current flight status." 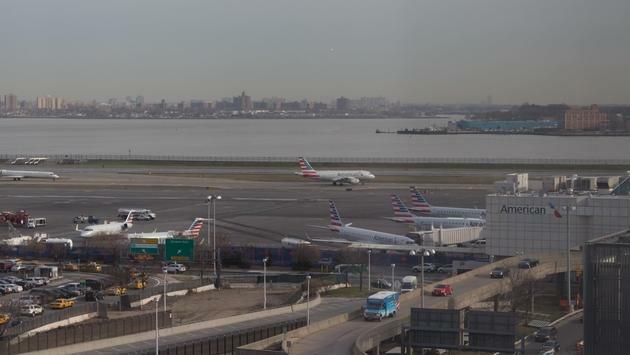 The Federal Aviation Administration (FAA) has begun delaying inbound and outbound flights at New York City's LaGuardia Airport on Friday, amid air traffic control staff shortages resulting from the ongoing government shutdown. "Due to OTHER / ZDC + ZJX STAFFING and OTHER / STAFFING, there is a Traffic Management Program in effect for traffic arriving at La Guardia Airport, New York, NY (LGA). This is causing some arriving flights to be delayed an average of 41 minutes," the FAA website stated Friday morning. According to flight-tracking website FlightAware.com, more than 200 flights flying into or out of LaGuardia were delayed as of 11 a.m. ET. Nearby Newark Liberty International Airport and Philadelphia International Airport were also experiencing dozens of delays as of late Friday morning. This comes on the heels of several airline executives' and industry experts' warnings about the long-term impact of the shutdown. "The FAA halt of flights into LaGuardia confirms rising risks for U.S. airlines' 1Q results. 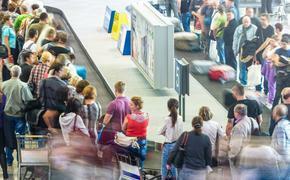 Flight and security delays will reduce demand for air travel, and that's going to require discounts to attract passengers. Profit and margin pain will follow," said Bloomberg Intelligence Senior Aviation Analyst George Ferguson. Multiple airlines have stated they've lost millions of dollars in potential revenue since the shutdown began last month and significant callouts of unpaid TSA agents have led to longer screening lines at airports across the country. Travelers are encouraged to check their flight status with their airline prior to arriving at the airport.